This one was on Mullberry St. East of Ft. Collins Co. Sorry, Tom...although I'm not personally offended, those are words we filter so I had to remove it. I happen to think a 1st grader writing a bunch of curse words for a class project is hilarious! Well then, at least I now have a line to measure myself against. *** Fixed yet another spelling error. 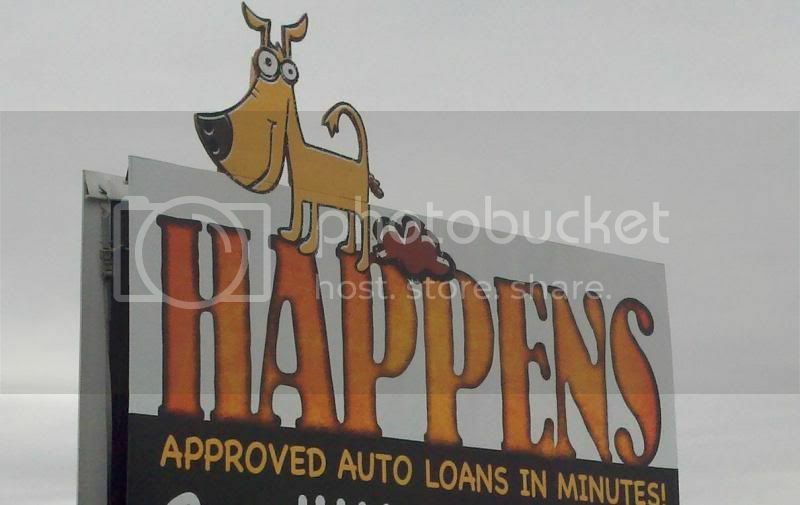 Well, it doesn't make me want to buy a car from them. Methinks the dog is hinting at the deal you'll get.